Green beer for all! There are so many fun events happening in NWA to celebrate St. Patrick’s Day, from pub crawls and Irish step dancers to a crawfish boil. Below you’ll find some of the best events including parties, parades, pub crawls and more! The list is broken down by area to make it easier for you to plan. St. Patrick’s Day Pub Crawl in Downtown Eureka Springs – The St. Paddy’s Pub Crawl will happen ALL DAY on Saturday throughout Downtown Eureka Springs Arkansas. There is also a Selfie Scavenger Hunt that you will participate in as you do the pub crawl. Choose to do the pub crawl in any order. The stops are Chelsea’s, Brews, Rowdy Beaver Den, Lucky 7, Henri’s, Eureka Live, New Delhi Cafe, and The Cat House. St. Patrick’s Day Parade in Downtown Eureka Springs – The 23rd Annual Eureka Springs St. Patrick’s Day Parade steps off at 2 pm down Spring & Main Streets in downtown Eureka Springs. Wear your green and join the fun. Gone to the Dogs – St. Patrick’s Day Parade After Party at Eureka Springs Bark Park – Join the Eureka Springs Krewe of Barkus after the St. Patrick’s Day parade, and let you and your dog relax and get a little socialization. St. Paddy’s Day at Chelsea’s – Ponder the Albatross returns to Eureka to play Chelsea’s for St Patrick’s Day! Kiss the Blarney Stone – St. Patty’s Day at Upstairs at Grotto – St. Patrick’s Day is almost here! To kiss the blarney stone and find your lucky pot o’ gold, follow the rainbow to Upstairs at Grotto. The leprechauns are making mischief and throwing a glowing green, BLACK LIGHT DANCE PARTY! So dress in your best four-leaf clover and come dance an Irish jig to Eureka’s favorite, DJ Testube. The Celtic Crawl in Downtown Bentonville – It’s your lucky day! Why? Because while you’re out celebrating St. Patrick’s Day DBI is giving you a chance to win stuff. Basically, they want to be your pot of gold at the end of the rainbow. Go to a few places downtown, get a passport and have them stamp it. Turn it in for a drawing and test that luck of yours. St. Patrick’s Day Bash at the Forge – The event will feature live music from Joshin the Giants, Fiddles in the Middle, Route and Fetts Folly. There will be Irish Step Dancers from Rince Arkansas Academy of Irish Dance performing in between the bands and they will have Green Beer on Tap along with many other Irish beers. St. Patrick’s Day Crawfish Boil at Blu Fresh Fish Marketplace – Come enjoy green beer, bugs & music in the patio! Don’t forget to wear green! Annual St. Patty’s Day Bash at the Pint at Bentonville Butcher and Pint – The bash will feature a local beer garden, Baggo Tournament (that’s free to enter and promises awesome swag giveaways), and live, local music by Roger Thomas and the Downtown Livewires! And don’t forget the meat…there will be Corned Beef for everyone! Bentonville | Beer & Hymns – Luck of the Irish at Bike Rack Brewery – For the month of March, Ozark Beer & Hymns will feature 2 venues with 2 unique themes. 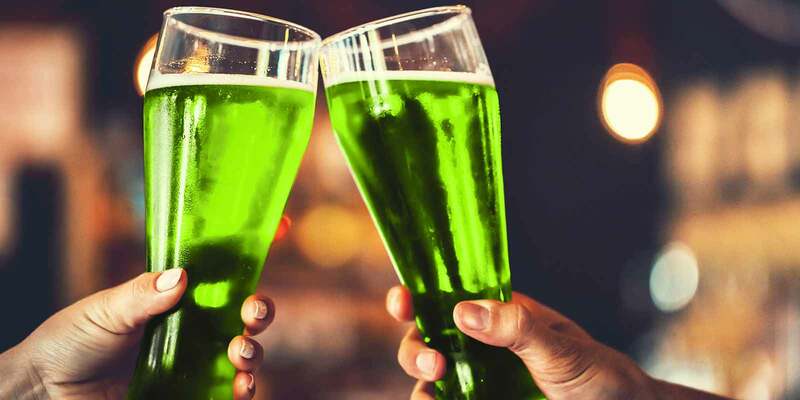 In Bentonville, they will be searching for the pot of gold at the end of the rainbow as they drink green beer and celebrate the Luck of the Irish. St. Paddy’s Pub Crawl in Downtown Rogers – It’s that time again! Go Downtown Rogers presents the 4th Annual St. Paddy’s Pub Crawl happening on the bricks from 5-11 pm. Check out their favorite local pubs while tasting some of NWA’s best brews. Get festive and celebrate the “Luck ‘o the Irish” by purchasing a commemorative shirt and crawler card with a map of all the downtown specials that night. St. Patrick’s Day at Brick Street Brews – Everyone’s Irish on St. Patrick’s Day! 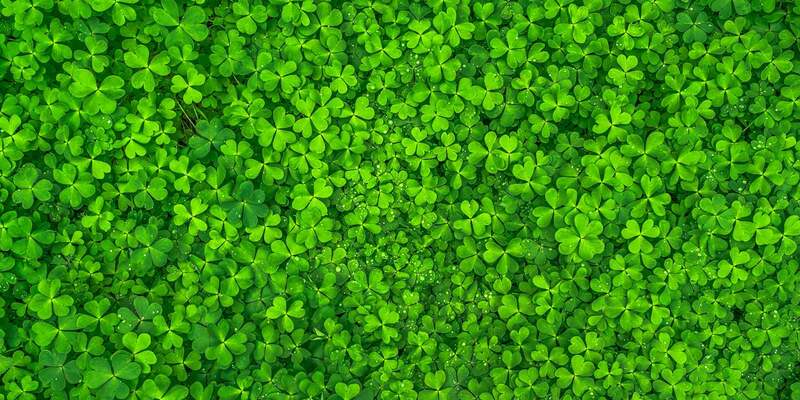 Celebrate with green beer, green costumes, live music from Lazy Daisy & Murray Williams Live at the Brick! St. Patrick’s Day at Boar’s Nest – Come on out and Dance the Night Away! Boar’s Nest will have Pot ‘O Gold Jello Shots then they are going to spend the night dancing! They will have Domestic Beer Specials and John is smoking the meat for House Made Ruebens. 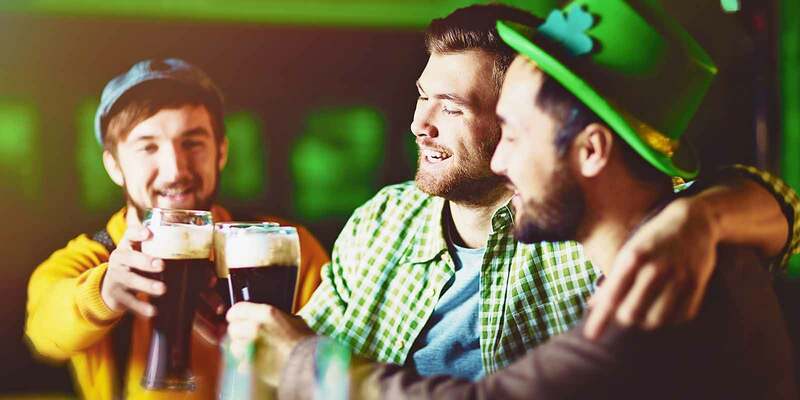 St Patrick’s Day Party at Levi’s – Levi’s Irish roots shine with a delicious offering of food and libations available all day. LIVE music in the bunker with Jeremy Treat Trio (3-5p) and Walrus (7-10p). It’s the last time it’s on a Saturday until 2029….that’s 12 years!! Let’s do it up right in 2018. St Patty’s Day with Dr NOLA & The Soul Shakers at Hapa’s Hawaiian Bar & Grill – Dr. NOLA and the Soul Shakers are a six-piece New Orleans influenced band that cover a gumbo of music styles from soul to blues…and beyond. Their song selection includes tunes by Dr. John, Sam Cooke, Aretha Franklin, Ray Charles and St. Paul and the Broken Bones. St Patricks Pub Crawl on Dickson – St. Patrick’s Day falls on a Saturday and that’s perfect for the 11th annual St. Patrick’s Day Pub Crawl. Festivities will begin at 5:30 p.m. with a kickoff at Hog Haus Brewing Co., where participants can pick up a “passport” that lists participating pubs, bars and watering holes. St. Paddy’s Day and Hoppy Wheat Release at Fossil Cove – Grab your green and head to the Tasting Room for the Hoppy Wheat Release and St. Paddy’s Day Party on Saturday, March 17. Live music, food specials, beer infusions and Hoppy Wheat throughout the day. 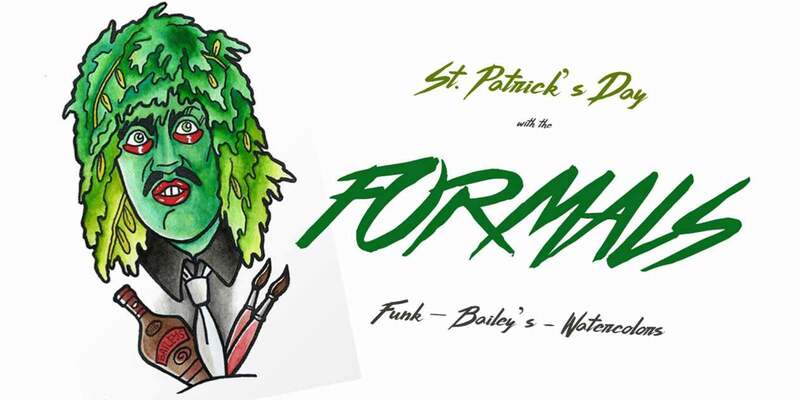 St. Patty’s Day Funk at Nomad’s – The event will feature a free funk music set by local band, Formals, $1 shots of Bailey’s and free water coloring. Ye Olde St. Paddys Day Raffle at Sideways – You wear the green and Sideways & Bugsy’s will provide the brews and giveaways! Come drink and score some raffle tickets to win a custom fire pit and smoker from Miller Coors. St. Patrick’s Day Saturday at Baker’s Wakery – Baker’s Wakery is celebrating St. Patrick’s day with some yummy Irish Inspired Donuts! Menu includes: Old Fashioned Irish Oatcake, Savory Potato and Cheddar, Chocolate Irish Cream and Irish Apple Cake with Creme Sauce. Pre-Order to get your preferred assortment! There will also be Vegan and Gluten-Free options available! St. Patrick’s Day Corned Beef and Cabbage at Briar Rose Bakery – It’s become an annual event to offer Corned Beef and Cabbage on St. Patrick’s Day at Briar Rose. This year their special plate will be avaialble on both Friday and Saturday featuring Corned Beef, Whole Carrots, Buttered Red Potatoes, Cabbage, and homemade Irish Soda Bread. St. Patrick’s Rockabilly Rumble at Black Apple Crossing – This ain’t your dad’s rockabilly. The band takes jet-fueled originals and obscure modern covers and mixes ‘em into a rockabilly knock-down-drag-out. Rockabilly, Americana, Roots Rock…call it what you want to. To “Good Company” it’s all Rock ‘n’ roll and they deliver on all six cylinders. 1 Year Anniversary/St. Patty’s Day/Duelin’ Pianos at The Odd Soul – The Odd Soul will celebrate with dueling pianos playing music and plenty of drinks. St. Paddy’s Day at Emma Avenue Bar – Drink Specials from 11am – 2 am and Buck may or may not be dressed as a Leprechaun! 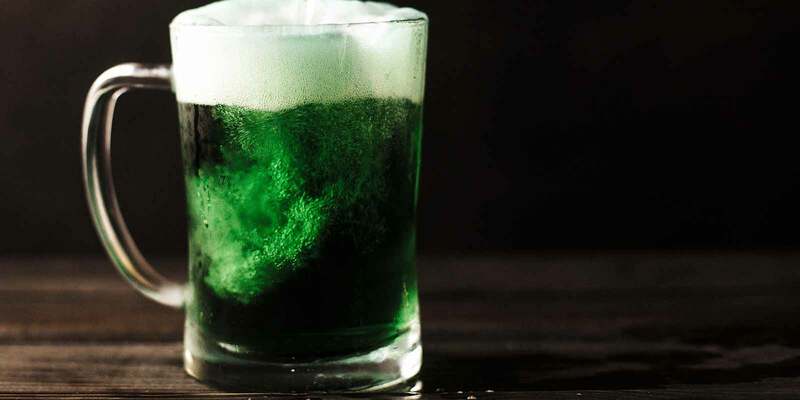 St. Patrick’s Day Celebrations in the Siloam Springs area Saint Patrick’s Day Celebration at Creekside Taproom – Join Creekside Taproom for Saint Patty’s Day fun with Irish brews on tap and live music with Dry Spell at 7 pm! Wearing a wee bit o’green gets your name in a Leprechaun’s hat for the door-prize drawing.